Welcome to the Fairmont Monte Carlo. We offer a variety of restaurants and bars with different atmospheres and styles of cuisine which will reflect the seasons, the time of day or night and your own specific needs as well as a warm and attentive welcome. Treat yourself with a unique stay in the heart of one of the most exclusive destinations in the world with inspiring views of the French and Italian Riviera. Fairmont Monte Carlo is an island itself offering the perfect setting between the Mediterranean Sea, the legendary Casino of Monte-Carlo and its exclusive shopping of the Carré d'Or and the most famous bend of the F1 circuit, the Fairmont Hairpin. Amazing cuisine mixing traditional Japanese dishes and South American ingredients using subtle spices and aroma combinations. Nobu restaurant welcomes guests in a chic decor and atmosphere every day from 7 PM to 11.30 PM. Happy Hour from 6 PM to 8 PM. Between sea and sky, with outstanding terraces, it offers an all day cruise of Mediterranean colors and flavors. With idyllic surroundings for breakfast and lunch, and exclusive lounge space, it is also an ideal venue for private events all year round. 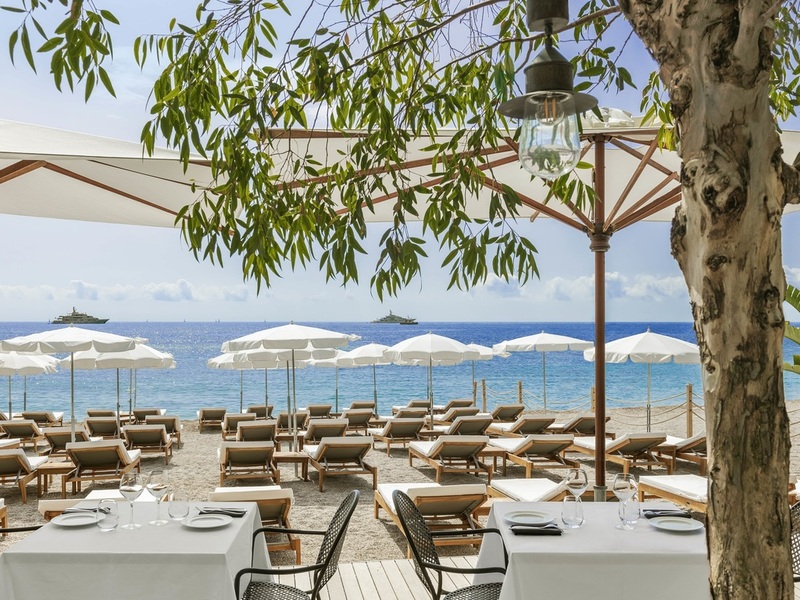 From April to October, celebrate the worldwide famous brand Nikki Beach. Along with its original concept combining the elements of entertainment, dining and music spun by resident DJs, and theme parties it is the hotspot of the Principality of Monaco. Open 24/7, the restaurant offers an exquisite French bistro cuisine with an amazing panoramic view of the Riviera. From October to April enjoy the not to be missed Sunday Jazz brunch, a unique buffet accompanied by a live jazz band and a kids club. The Saphir24 Lounge & Bar offers, an amazing wine bar, in front of a panoramic view over the Riviera and the sea. On Friday and Saturday evenings enjoy Nights Till Late with cocktails, wine, champagne and finger food, animated by Luciano's live music. The Champagne Bar, located next to the Horizon Deck restaurant, on the rooftop, proposes a relaxing moment while sipping a glass of champagne from a selection of 30 exclusive references. With its cozy atmosphere, the lounge provides a stylish and sophisticated backdrop for any occasion to enjoy exclusive cocktails, wine, champagne. Friday and Saturday evenings enjoy Nights Till Late with finger food and live music by Envy Soul. From April to October, guests can spend days and evenings by the pool while indulging in refreshing cocktails, endless champagne and an extensive menu of delectable dishes representative of all the countries Nikki Beach is located. 이 호텔은 모나코에서 경험할 수 있는 최고의 호텔입니다. 모나코의 명소인 카지노와도 가깝거고, 쇼핑할 수 있는 새로운 단지와 쇼핑거리와도 매우 밀접해 있어요, 무엇보다도 호텔에서 볼 수 있는 지중해 뷰가 일품이에요. 그래서 룸서비스를 룸 테라스로 시켜먹었어요. 조식도 물론 지중해가 보이는 테라스에서 식사가 가능해요. 또 유명한 루프탑 수영장 !!! 수영장 맨 앞쪽 베드들이 유료인점에서 만족도 -1하였습니다 !